Please thank Alex and the team for another great fireworks display on Sunday. As ever, they did an amazing job which left the crowd oohing and aahing! 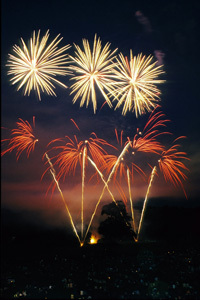 We've had lots of compliments from happy fireworks goers, some who came for the first time and were very impressed!